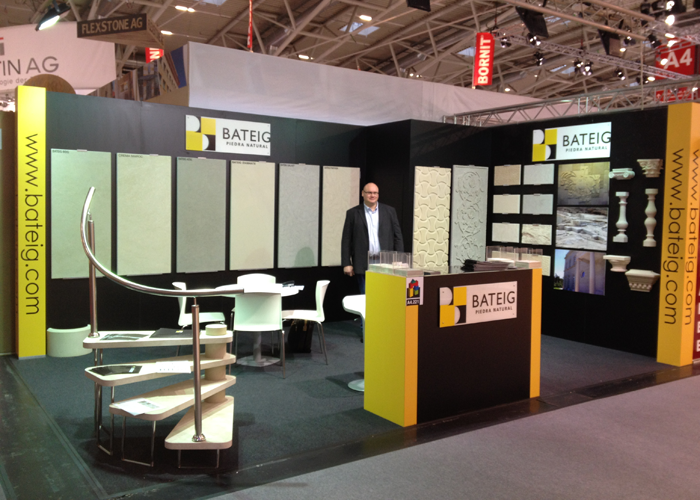 Bateig exhibit its materials in the BAU 2013, Fair of Architecture, Materials and Systems of Germany. You can find us at the stand located in Hall A4, Stand 221. In our stand you will be able to learn about the possibilities of Bateig natural stone through design panels with different finishes that you will find exposed, as well as other architectural elements. As a novelty, we have included in the set a ladder of Bateig natural stone, with the clear aim of showing the multiple possibilities of such a versatile material like natural stone.